Although Fallout was the main topic of conversation at Bethesda's E3 press conference, Doom also received a great deal of screen time. The new Id-developed game takes some of the main components from the popular Doom mod Brutal Doom, and combines it with features from other games from the series. One of the main components being the extremely gruesome finishing moves, which can be performed on weak enemies. The new Doom game has wicked levels that are composed of demons that can either be visible, or appear instantly as they surface from hell. To top this, every enemy can drop health or ammo after they are killed. 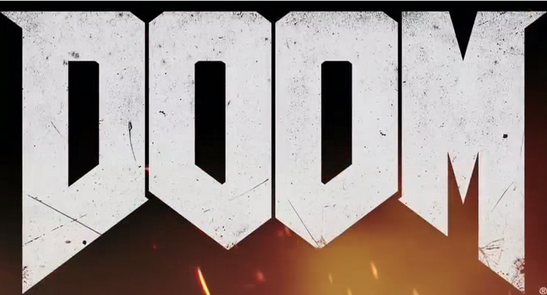 Looking at the trailer, I immediately noticed some important keys to Doom that make it like no other game. Doomguy is always moving fast, considering this is a fast-paced game. Luckily for us, the game's environment will give us the opportunity to roam freely throughout the game's map while completing objectives. If you look closely at the trailer, you will notice that there are a few very important power-ups hidden in tricky places. Bethesda is however reverting back to old traditions in the upcoming Doom game. In addition to this news, they are going to be allowing custom maps and graphics, which can be used to build levels in the built-in map editor Doom SnapMap. With the Doom SnapMap, game rules can be completely revised to produce new game modes. Thanks Chazay for the idea!